The Outlaws were originally slated to play in San Diego. However, under pressure from baseball’s Padres, the NFL’s Chargers and the NASL’s Sockers, the city refused to grant Tatham a lease for Jack Murphy Stadium. Scrambling for a home, Tatham seriously considered playing in Honolulu for its inaugural 1984 season. However, he settled on Tulsa, Oklahoma—even though the city had not even been included in a list of possible expansion sites for the USFL. Tatham was initially skeptical about basing a team in Tulsa. It was only the 60th-largest television market, which would have made it by far the smallest market in the league. Moreover, the only viable facility, the University of Tulsa’s Skelly Stadium, needed major renovations in order to bring it to something approaching professional standards. However, Tatham had roots in Oklahoma, and eventually concluded that putting his team there would give something back to the state. He christened his team the Oklahoma Outlaws. The club was the second major-league sports team to play in the state, after the North American Soccer League’s Tulsa Roughnecks. The Tathams were not exaggerating about Skelly Stadium’s inadequacy as a professional venue. There was virtually no parking around the stadium, which would have held down attendance even without the weather problems. With no other facility in the Tulsa area suitable even for temporary use, they started searching for a new home. They initially planned to move to the University of Oklahoma’s Owen Field while a new stadium was being built in Oklahoma City. However, when the USFL voted to move to the fall for the 1986 season, OU officials backed out of the deal. Bill, Jr. then worked out a deal to play at Honolulu’s Aloha Stadium, but Bill, Sr. vetoed it. The Tathams nearly had a deal to merge the Outlaws with the Oakland Invaders. However, the deal collapsed at the last minute because Invaders owner Tad Taube was unwilling to give control of the team to the younger Tatham. The Invaders ultimately merged with the Michigan Panthers. Homeless and looking for options, the Tathams would turn to the 1984 Western Conference Champion Arizona Wranglers. 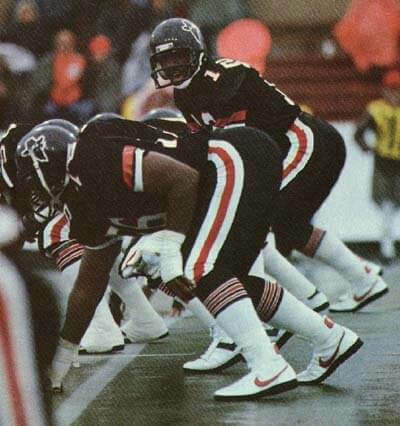 Despite advancing all the way to the USFL title game after essentially trading rosters with the Chicago Blitz, the Wranglers’ 1984 attendance figures –although respectable — were not enough to cover expenses. In fact, they were actually slightly below those of the 1983 Wranglers team. Owner Dr. Ted Diethrich, who had swapped the Blitz for the Wranglers in the 1983 – 1984 offseason, had anticipated much higher attendance after bringing most of a team reckoned as an NFL-caliber unit to Phoenix. Additionally, he never was paid in full for selling the Chicago franchise rights after the new Blitz owner, James Hoffman, saw his finances collapse. After losing millions for the second year in a row, Diethrich wanted out. Ultimately, Diethrich agreed to merge the Wranglers with the Outlaws. The merged team was to be known as the Arizona Outlaws, and would take the Wranglers’ place at Arizona State University’s Sun Devil Stadium. Initially, the Tathams owned 75 percent of the merged team, with Diethrich retaining 25 percent. However, Diethrich quickly decided to get out altogether. Since the Tathams inherited the Wranglers’ player contracts, the deal was still widely reported as a merger. As a result, Arizona received what amounted to its third USFL team in as many seasons. 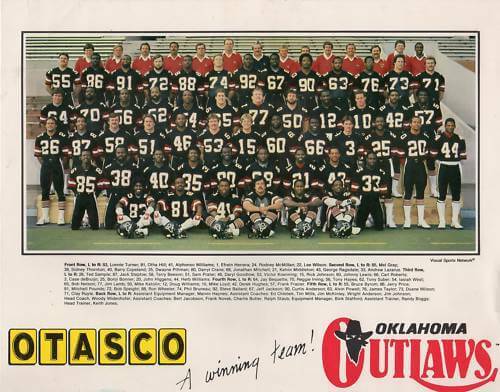 The Oklahoma Outlaws were a professional American football team that played in the United States Football League in the mid-1980s. Outlaws – The Outlaws name comes from the gunslingers known to be in the Oklahoma region. Despite advancing to the championship game, Dietrhich wanted out after losing millions for the second year in a row. He sold the Wranglers’ assets to Tatham, and Tatham relocated the Outlaws to Arizona for the 1985 season as the Arizona Outlaws, and took the Wranglers’ place at Arizona State University’s Sun Devil Stadium. Since Tatham inherited all of the Wranglers’ player contracts, this deal was reported by some outlets as a merger. Who is the greatest Oklahoma Outlaws?